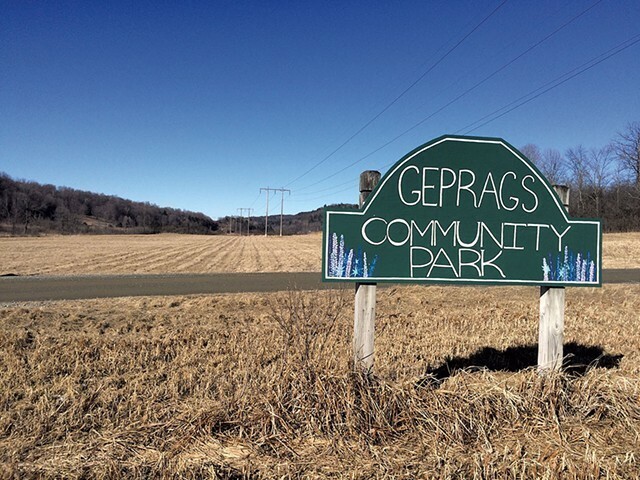 The Vermont Public Service Board will allow Vermont Gas Systems to use eminent domain to build its natural gas pipeline through Geprags Community Park. The Hinesburg parcel was the last remaining piece of land along the planned 41-mile Colchester-to-Middlebury route where Vermont Gas had to secure the rights to install its pipeline. The area to be condemned is 50 feet wide and 1,987 feet long. A group of Hinesburg residents represented by attorney James Dumont argued against the eminent domain request in front of the PSB during an August 4th meeting. The board was not persuaded. 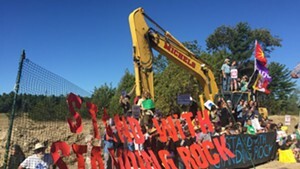 In a decision issued Tuesday, it concluded that the pipeline "will have little or no impact on the park and its existing uses, both during and after construction." Citing Vermont Supreme Court precedent, Dumont had argued that land already designated for a public use couldn't be seized for a different public use. But in its decision, the board reasoned that it was permissible if the public would be best served by both uses and as long as the "second public use would not destroy or materially interfere with the prior public use." Don Rendall, CEO of Vermont Gas, emailed a statement Tuesday afternoon saying the decision "clears the way for Vermont Gas to complete construction on the Addison Natural Gas Expansion project this year and begin service to customers." He continued: "This is great news for customers and great news for Vermont's economy. Project opponents should respect this ruling and allow Vermont Gas to proceed." That doesn't appear likely. Dumont said Tuesday that his clients will request that the board reconsider its decision; they have 10 days to file that motion. If that fails, they could appeal to the Vermont Supreme Court. Dumont declined to comment further on what he described as a pending case.